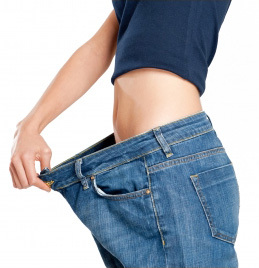 Ok so maybe it’s not the kind of drink you want to have…BUT, there is one drink that has been scientifically proven to help drop unwanted body fat. You should be drinking AT MINIMUM one-half of your body weight in ounces of water daily. This is not only important for total body health and performance, but absolutely CRITICAL if you are trying to lose weight. Exercise requires more water intake to prevent dehydration and keep energy. Yup, this is also good! Of course if your goal is weight loss, you are probably (hopefully) participating in SOME type of exercise. The more you move, the more you burn (and sweat), the more water you need to keep your body hydrated. If you fall short on your water intake you will start to feel sluggish, weak, and possibly even lightheaded while you are training. However, there is even MORE to this equation than you may realize. Water truly is the #1 NUTRIENT your body needs to convert in to a lean, mean, fat-burning machine! Don’t believe me? Water’s Role In Liver Health: Did you know that the LIVER is the organ in the body that plays the biggest role in fat burning? Fat metabolism actually takes place IN the liver. For the liver to function optimally it needs to be as free and clear of all toxins and waste as possible. Drinking water helps to FLUSH the liver. Without water to flush the “crap” from the liver, this waste can build up, hindering the liver from functioning properly and slowing the body’s ability to burn fat! Water’s Role In the Digestive System: Drinking the recommended amount of water helps to keep your body “regular”. If you’ve eaten 1-2 pounds of food, but it’s not made its way back out this is certainly going to be reflected on the scale. Even more important than this obvious truth though, is that water plays an extremely similar role in the GI track that it does with the liver. 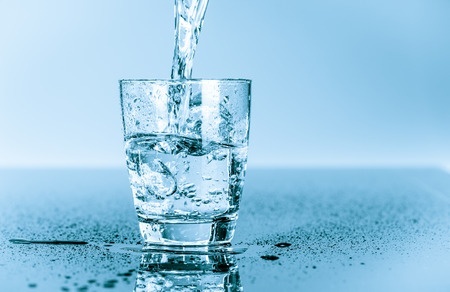 Drinking water helps to flush the digestive system of toxins and waste, which makes it more efficient in absorbing nutrients from the foods you eat. (Staying clear of highly processed foods is key here as well.) Better nutrient absorption means better fuel for your body, which means more energy and quicker fat-burning! So let’s be honest…If given the choice of spending MORE hours in the gym, cutting MORE calories, or simply drinking MORE water to lose weight, which option would you take? Of course exercise and proper nutrition are essential, but drinking the right amounts of water will help you create a MORE EFFICIENT FAT BURNING SYSTEM. Efficient, quick, easy. Who doesn’t want that?